Last June, Almaz Ayana clocked an African all-comers' 3000m record of 8:22.22 in Rabat and her recent win over the same distance in Doha in a world-leading 8:23.11 prompts the question, how fast can she run over 5000m at the IAAF Diamond League meeting in the Moroccan city on Sunday (22)? The Meeting International Mohammed VI D'Athletisme de Rabat 2016 organisers clearly believe very fast, and have staged her event as the finale to the first IAAF Diamond League meeting in Africa. 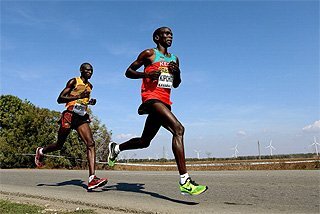 Consequently, it would be fitting if an African distance runner brought the curtain down in suitably spectacular fashion. Of course, improving on the world record of 14:11.15, held by her compatriot Tirunesh Dibaba since 2008, will be a tall order for Ayana but Elana Meyer’s African all-comers’ record of 14:44.15, which has stood since 1992, seems like an attainable target. Ayana herself has a 5000m personal best of 14:14.32, set at last year’s IAAF Diamond League meeting in Shanghai, which ranks her third on the world all-time list, behind Dibaba and her fellow Ethiopian Meseret Defar. 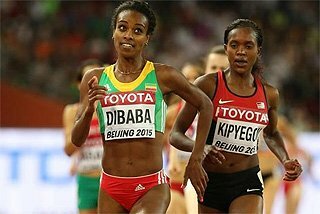 She has seemed imperious in her recent races, including when winning the world 5000m title last year, but among Ayana’s rivals will be yet another outstanding Ethiopian, Senbere Teferi, who took the silver medal behind her in the Chinese capital last August. Ukraine’s 2013 world high jump champion Bogdan Bondarenko also has fond memories from last year’s Rabat meeting, in its previous incarnation as an IAAF World Challenge competition before its recent promotion to the top tier of global one-day meetings, when he cleared 2.36m. A similar clearance on Sunday would give him an excellent chance of taking the 10 points for first place in the Diamond Race but he faces Italy’s world indoor champion Gianmarco Tamberi, who will be having his first outing since winning in Portland 10 weeks ago. 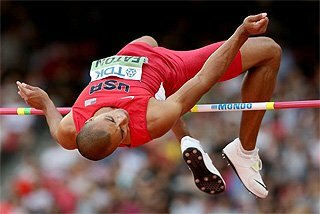 Also in the field will be USA’s Erik Kynard, who won the first high jump contest in this year’s IAAF Diamond League, in Doha. With all due respect to Kynard, the high jump in Doha never quite reached the heights expected but one jumping event exceeded all expectations there, the women’s triple jump. 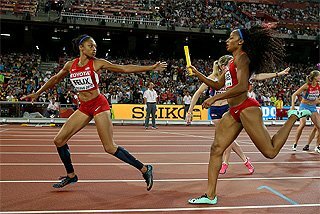 The two main protagonists from that contest, Colombia’s Caterine Ibarguen and Venezuela’s Yulimar Rojas, will be reunited again. 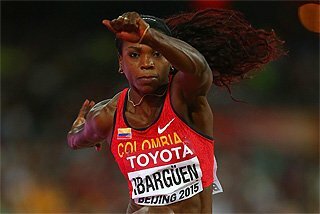 Ibarguen has a winning streak of 32 competitions to her name but the two-time world champion was pushed all the way in Doha by her South American rival and victory required a world-leading performance of 15.04m. 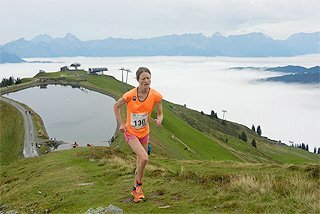 Like Ibarguen, Czech Republic’s Zuzana Hejnova is a two-time world champion and 2015 Diamond Race winner. Hejnova heads a strong women’s 400m hurdles field that includes five finalists from last year’s World Championships, including the in-form Jamaican Janieve Russell, current African champion Wenda Nel from South Africa, and Bahrain’s world indoor 400m champion Kemi Adekoya. Last year’s Diamond Race 3000m steeplechase winner, Kenya’s Jairus Birech, is another returnee to Rabat following his victory at the Prince Moulay Abdellah Stadium last year. 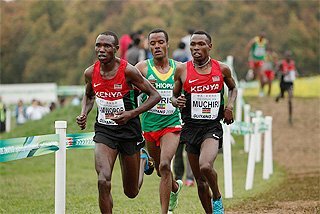 Among others, he will face world silver medallist Conseslus Kipruto, who won the opening contest in this Diamond Race discipline in Doha on 6 May. 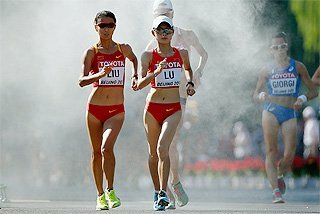 The women’s 800m brings together the world indoor and outdoor champions, Burundi’s Francine Niyonsaba and Belarusian Marina Arzamasova as well as Kenya’s 2013 world champion and three-time Diamond Race winner Eunice Sum. The men’s 800m includes world bronze medallist Amel Tuka of Bosnia and Herzegovina, Botswana’s Olympic silver medallist Nijel Amos and Algeria’s Olympic 1500m champion Taoufik Makhloufi, the latter making his 2016 debut. Amos won the Diamond Race over two laps of the track last year while Tuka ended the year as the fastest man of 2015, having clocked a national record of 1:42.51 to win at the IAAF Diamond League meeting in Monaco. Cuba’s world champion Yarisley Silva is part of a high-class women’s pole vault field that includes Greece's 2015 Diamond Race winner Nikoleta Kyriakopoulou and Switzerland’s in-form Nicole Buchler. 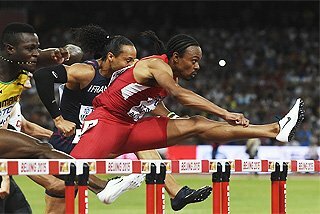 In the men’s 400m, USA’s former world and Olympic champion LaShawn Merritt will be looking to consolidate his good start to the season which has included a win in Doha by repelling a field which includes two other sub-44 performers, Botswana’s former African record-holder Isaac Makwala and Jamaican record-holder Rusheen McDonald. The men’s discus contains possibly the deepest field based on Beijing results with the top six from last August’s World Championships having made the trip to Rabat. 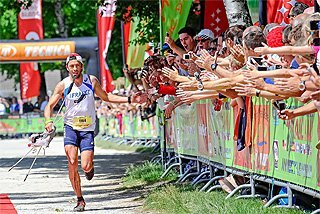 However, the role of favourite belongs to Poland’s world champion and 2015 Diamond Race winner Piotr Malachowski. In Doha, Malachowski needed to dig deep and only a last-round effort of 68.03m defeated Belgium’s Philip Milanov, who took the silver behind the Pole in Beijing. A lot of attention in the men’s long jump will be on Marquise Goodwin, who flew out to a personal best and world-leading mark of 8.45m in Guadeloupe last Saturday. 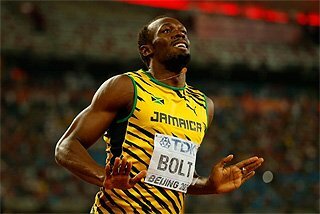 Goodwin, the 2008 world junior champion, switched sports after competing at the 2012 Olympics and he missed 2013 and 2014 completely while playing American football, but now is advised by four-time world champion Dwight Phillips and is fully focused after his return to athletics last summer. Among those facing Goodwin will be South Africa’s improving Ruswahl Samaai, who has jumped 8.34m this year, and Australia’s Fabrice Lapierre, the world silver medallist indoors and outdoors, as well as Brazil’s 2012 and 2014 world indoor champion Mauro da Silva. Jamaica’s Elaine Thompson raised plenty of eyebrows when she flew to a windy 10.71 earlier this month in Jamaica and she will be looking for another quick time in her first 100m since then. USA’s 2011 world champion Carmelita Jeter and Nigeria’s African record-holder Blessing Okagbare are also in the field. 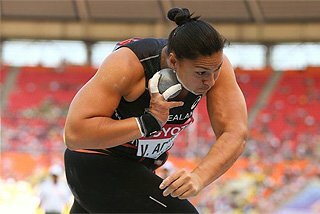 A popular athlete in Rabat is 2014 IAAF World Athlete of the Year Valerie Adams, and the multiple global shot put champion will be looking to continue her progress after an injury-disrupted 2015. The New Zealander, who holds the Rabat meeting record of 19.69m, will be up against Hungary’s world indoor silver medallist Anita Marton, who finished one place ahead of Adams in Portland. Last’s year’s Diamond Race winners Alonso Edward and David Oliver head the fields for the men’s 200m and 110m hurdles respectively.